Books One and Two of my fantasy adventure trilogy, The Willowgate Chronicles, take the reader on a magical journey to the Realm of the Fey to meet the beautiful Jain-lin, magus of the Willow Clan, the impeccable royal vizier Morphelos, and Morgaina, the ambitious queen of the Fey, who will stop at nothing to rule as supreme empress of the seven realms of magic. Hieron, magus of the Serpent Clan, apprentices his talented son Guindun to the fairy queen in exchange for a rare magical treatise. After the young sorcerer passes the queen's first test and demonstrates his skill in magic, he is quietly drawn into a budding rebellion by Morphelos, the queen's own vizier. With the vizier's help, Guindun acquires the queen's dragon blood ruby, her Ice Castle and treasure, and her eternal wrath. 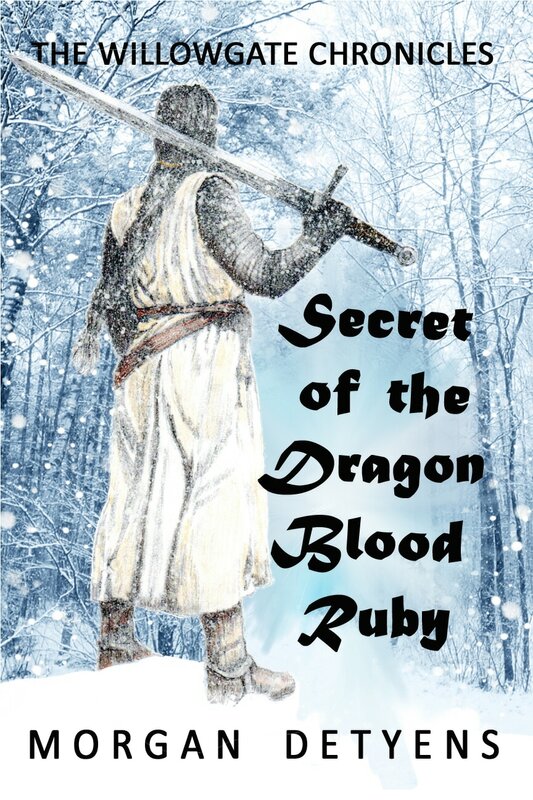 Secret of the Dragon Blood Ruby is available in hard copy from Amazon.com for $14.99. Click here for details. 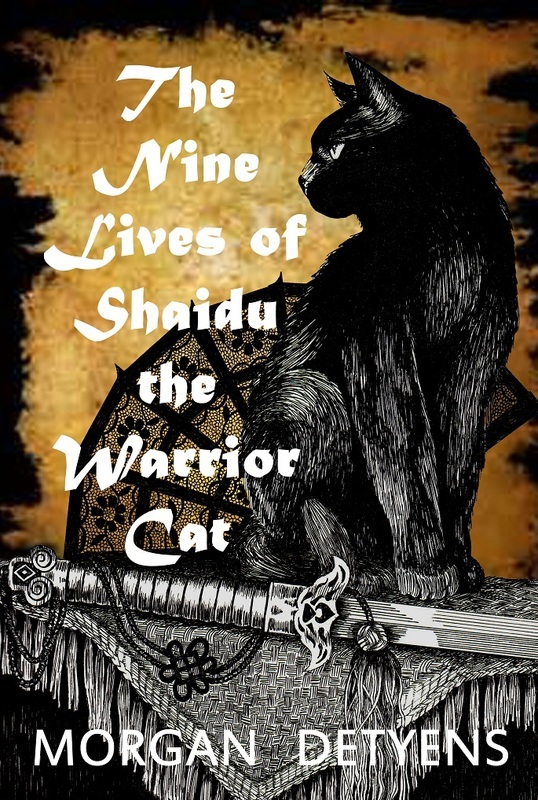 Book Two of the Willowgate Chronicles, The Nine Lives of Shaidu the Warrior Cat, is available in hard copy for $10.99 and is also available in Kindle ebook for just $2.99 at Amazon.com! Click here for details. Detyens' second fantasy-adventure novel propels the reader on an unforgettable journey with a brash young warrior, turned into a black cat by a sorcerer's spell, as he races against time to find the beautiful Willow magus who can return him to his human form.